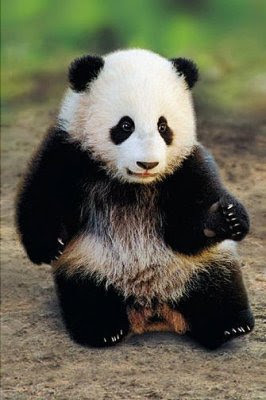 No wonder I drop EC like a mad panda almost every day for I was a Panda in a past life! I love Pandas; they're adorable and so unique! Not to mention fluffy and just plain beautiful. Have fun with this Blogthings quiz too if you like and happy Thursday! You are a fun-seeker - an adventurous, risk-taker. While you are spontaneous, you are not very rational. :* :* :* Debbs Meow 1! Yay for us pandas! Hehehe panda hug! Lol!! I watched repeats of diff reality tv shows back in Kch, so I'm kinda addicted to it. Not sure what else to watch la hehehe..
Yeah, you're a mad panda which helps motivate your Meows to help you, too! LOL! a panda indeed GP.. i just woke up ni... going out soon to MIL..
hahha.. same result lah we too.. lol! I've put your link on my blog, hope you add my link too, thanks before..
actually, just last night one of my friend told me i am very spontaneous! hahah! Testing. The comments look fine to me, Marzie. Finally can see comment box yay!